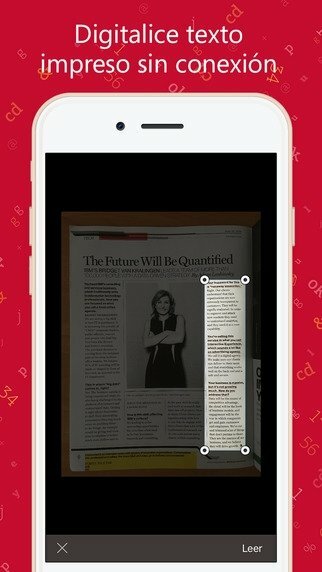 Capture any fragment of printed text on any kind of support (magazines, books, documents...) and edit it immediately. How? 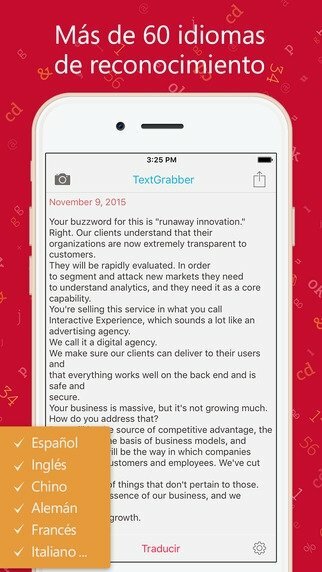 With TextGrabber + Translator, an OCR scanner full of functions. A great tool to digitize texts. 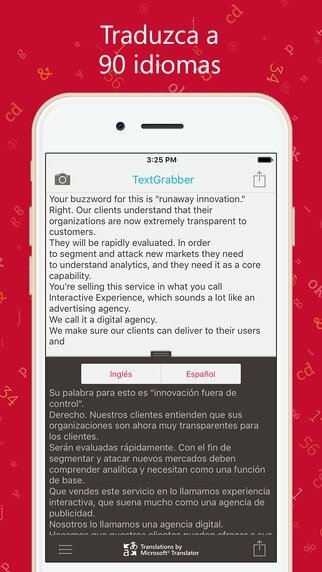 This application helps your iPhone to recognize and digitize any text and translate it to dozens of languages, as well as allowing us to use it for our own projects or share it on social networks, by email, SMS or other apps. 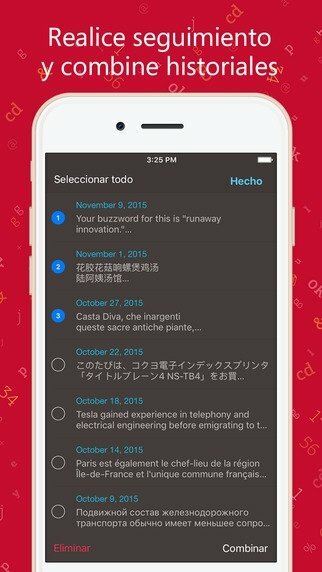 Text recognition in over 60 languages. 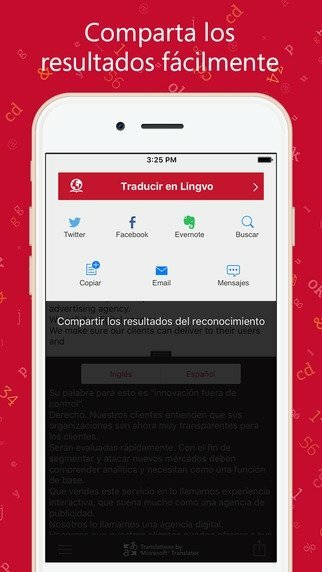 Translations from over 90 languages. Publish on Facebook, Twitter and Evernote. Search for additional information within the text. Send the recognized text by email or SMS.